When all of these pieces are working together in harmony, we’re not even aware of them. When one piece fails to work properly, all of the other parts are affected, as well. The role of chiropractic is to make sure that all of the pieces work together the way they’re supposed to. 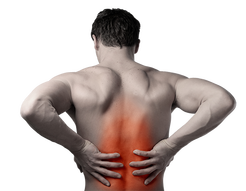 At Shine Chiropractic we specialize in Back Pain Relief in Lewisville. Our Lewisville Chiropractic Clinic has been outfitted with the Chiropractic Equipment needed to help you get Back Pain Relief fast. Dr. B has years of experience working with Patients suffering from Back Pain, and will work with you to develop a Chiropractic Care Plan to help you find relief now. Call our Lewisville Chiropractic clinic today to schedule an Appointment!